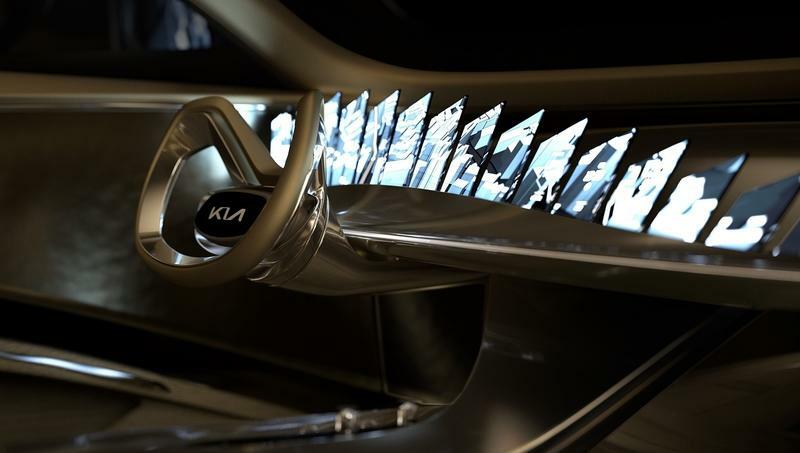 Kia is known for being extra creative when it comes to developing concept cars, and from the looks of it, this new concept won’t be any different. 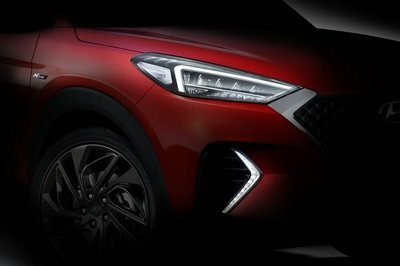 Ok, so Kia hasn’t revealed its name yet, but the automaker has dropped a few teasers along the way, leaving us with the kind of bread crumbs that will lead us to the concept’s unveiling at the Geneva Motor Show. The latest teaser is somewhat of a barn-burner, especially if you consider yourself a vociferous consumer of cars with outlandish digital screens. This concept is right up your alley because it not only has one digital screen; it has 21 of them. I can’t emphasize how ridiculous that sounds, but the picture, or, at least in this case, the teaser image, paints a pretty clear picture of what we can expect from this concept’s interior. I tried to count how many smartphone-like digital screens are shown in the teaser, and there are at least 12 or 13 of them in it. That means that there are around eight or nine more screens that are unaccounted for. What seems clear at this point is that the screens are lined up one after the other. The angle is a bit curious, but they do look like they’re lined up in a fan configuration, similar to how we make fans out of a deck of cards. If that’s the case, is it fair to assume that we’re looking at a deep dashboard? I’d say so, though, the teaser also shows a thin dash that actually looks more like a counter than a traditional dashboard. It sure doesn’t look predefined, that much I can tell you. It’s not a flat steering wheel, as you can see in the image. The base curves out into the driver, and its shape is less defined than you’d expect. You’ll also notice that the top corners of the wheel have different surfaces than the sides and bottom. 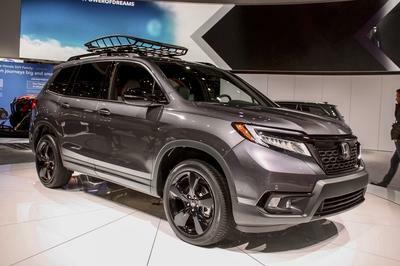 Unless my eyes deceive me, those look like hand guides that tell you where your hands should be when you’re driving this concept. Oh, and last thing. Kia’s new logo is present in the middle of the steering wheel. If for nothing else, it’s going to take some time to get used to Kia’s new logo font. This naturally brings us to the things that make this concept go. 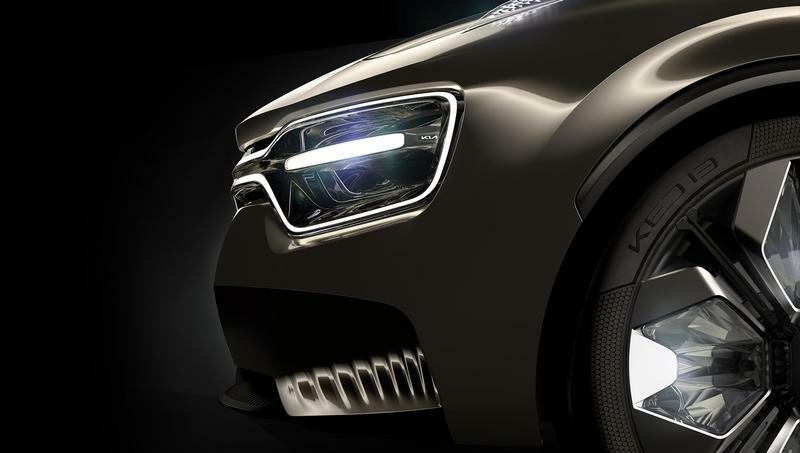 Kia has also remained tight-lipped with regards to the concept’s powertrain. But it is an electric car so don’t expect to see an internal combustion engine anywhere near this concept. That leaves us with the thought that an electric motor could be sitting somewhere underneath all that sheet. 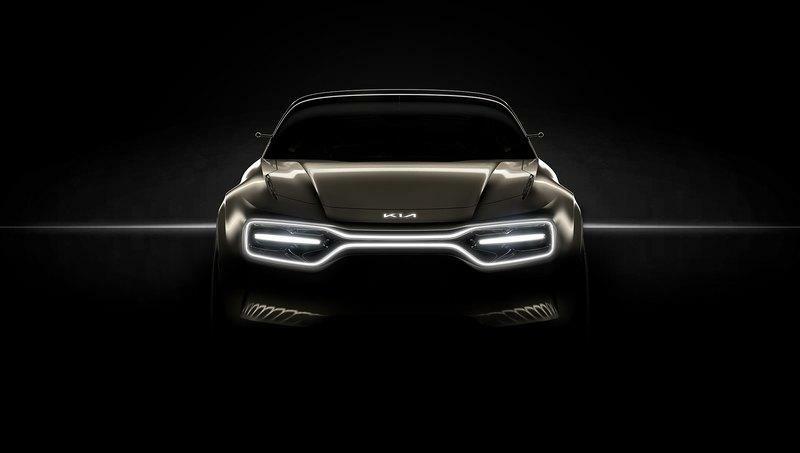 Since Kia’s teasing the concept as an electric ride that “will make the hairs on the back of your necks stand up when you drive it,” I don’t think we’re going to see the same 64 kWh battery pack that you can find in the top-of-the-line Soul. It’s hard to imagine a concept that’s billed as a performance EV carrying such a small battery pack. Perhaps it’s powered by the same 150 kW electric as the e-Niro, though that assumes that the motor can produce more than the 201-horsepower and 291-pound-feet-of-torque output of the electric crossover. 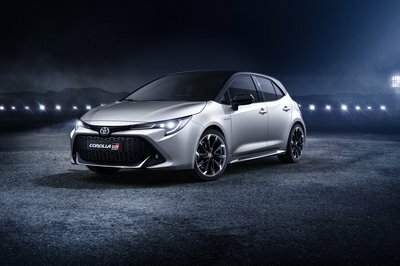 I’d like to think that since Kia seems to have developed this concept with the intention of using it as a showcase of its future electrification plans, it’s gone all out in the development of a bigger battery pack that can accommodate the power and performance needs that Kia wants to unleash in the future. 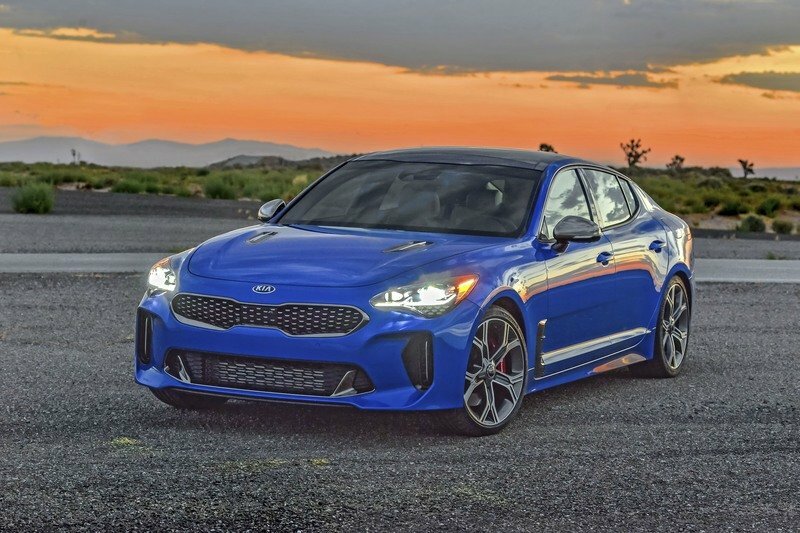 At the very least, the electric motor should produce roughly the same amount of power that the Kia Stinger GT possesses. 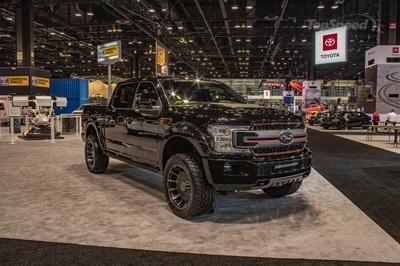 The performance sedan comes with two engine options, one of which is a 3.3-liter twin-turbocharged V-6 engine that produces 365 horsepower and 376 pound-feet of torque. That’s the benchmark that Kia needs to at least meet to make this concept a viable showcase of its electrification plans. 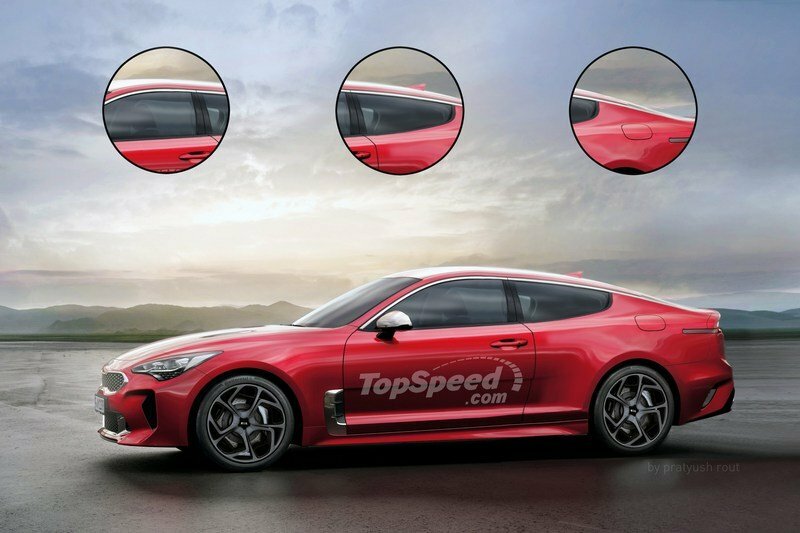 Kia’s VP of Design, Gregory Guillaume, did say that the concept will make “the hairs on the back of your neck stand up when you drive it.” That’s a pretty bold statement that Kia needs to justify convincingly. Anything less would probably be a disappointment. 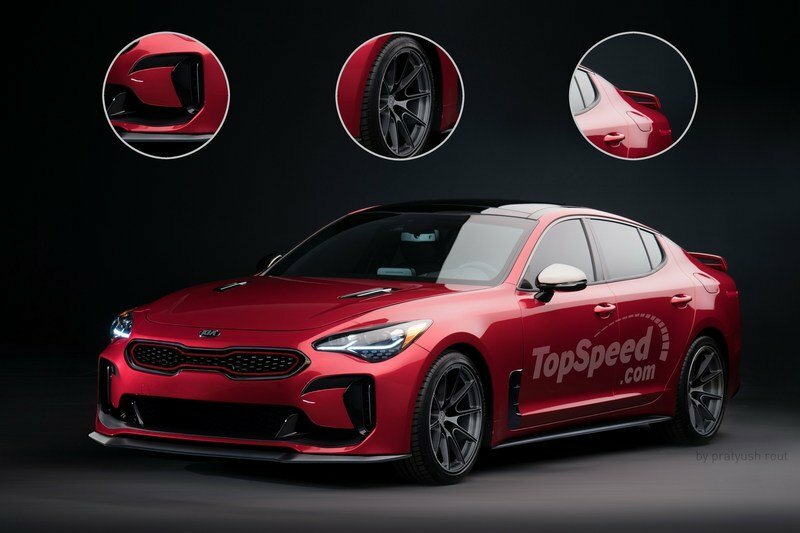 Read our full review on the 2019 Kia Performance EV Concept.